Discussion in 'Other games' started by CB, Nov 16, 2012. 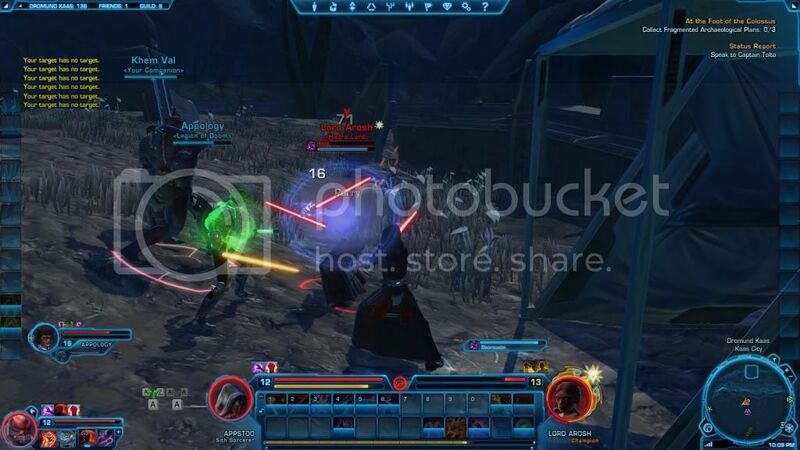 Yesterday at 11:22pm EST SWTOR became Free to Play. By every means of the game, I am 100% drawn to this MMO. 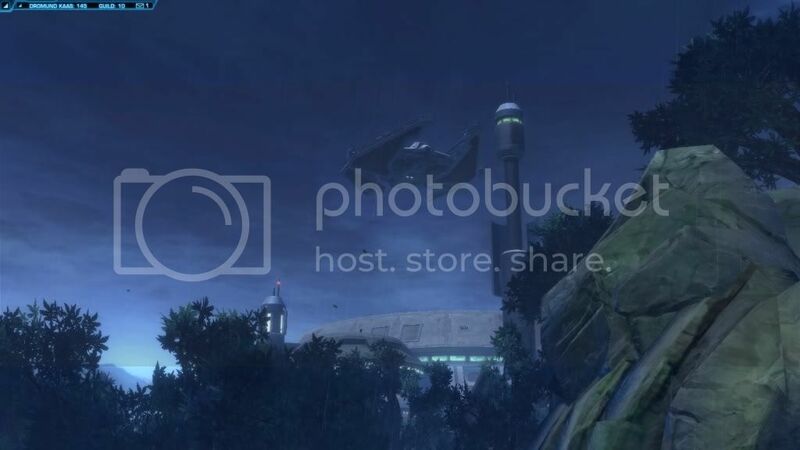 SWTOR is visually stunning for graphics. Its gameplay has been heralded as "near lifelike game action" by GameInformer, and has been rated 9.9/10 over numerous reviews. 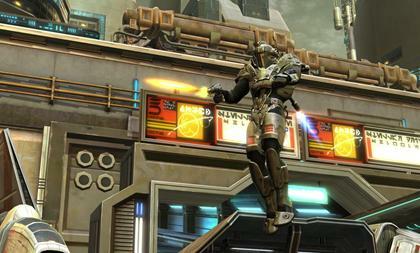 Whether you play the game as a Jedi (Light side Force warriors for the common good of all beings), or the Sith (Dark side force users, with the intent to control and protect its subjects and way of life), the game follows individual lore that is custom tailored with the actions of the player, and at the same time following a larger, general, legacy storyline. 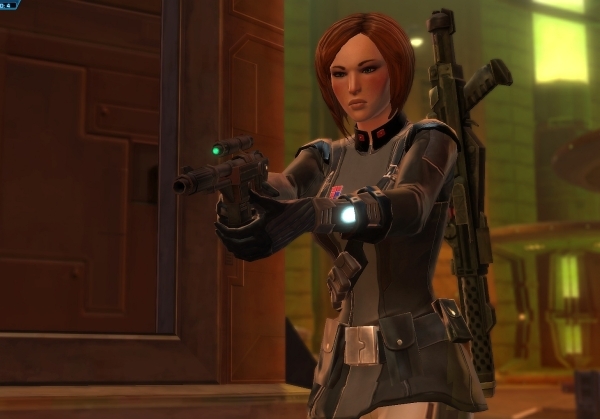 EA pushed SWTOR to be the FIRST MMO to use voice acting in EVERY mission / quest objectives. Flashpoints and mini cinematics at every turn for individual class gameplay for a truly unique and personal feel to the game. The game if fully interactive, allowing players to decide a particular faction of force users, but not limit them to only that aspect. 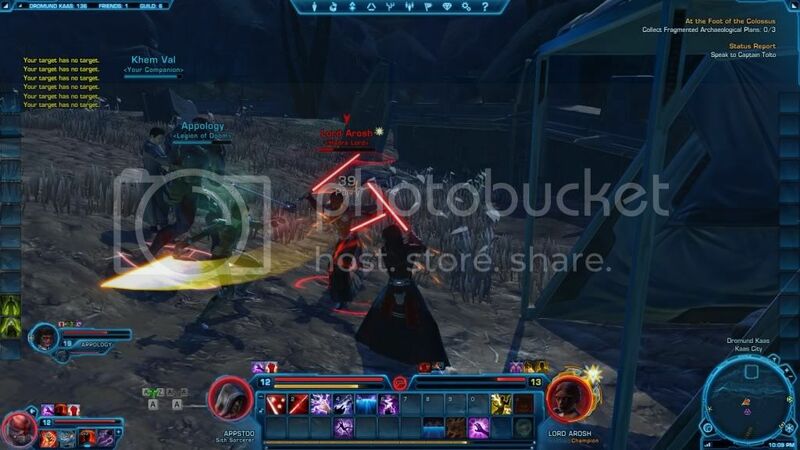 For example, Dark side wielders are able to choose game responses and play their characters toward the light side, enabling them to equip and use Light side gear of all aspects... and vise versa. There are multiple levels of Force abilities, and as such, provide a near limitless amount of options to players for a very unique play feel. Is this a game review? Nope. 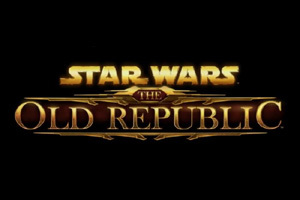 I'm just very passionate about the multilevel of options, graphics, lore, action, pvp, pve, role play, first, second, and third person game experience all in one game... and.. as a bonus its friggin STAR WARS! Oh, did I mention you get your own starship, which you can also fly around and do space missions? The game is a first person experience, shot from 3rd person, meanwhile has a near RPG feel as individuals can choose to play the game solo from start to end game, or choose to dismiss their NPC companions, and pick up RL players. So.. Minecraft. Im sorry buddy, but How can you possibly expect (me) to go. Search your feelings... you know it to be true. Oh ya, and there are some Jedi Scum too. A little PVP Video ... Sith vs Rebel Jedi Scum. I have 4 accounts. I would be honored to play along side you. After the server merge, my toons are spread out across three servers. I'll post tonight what the servers names are. My highest level toon is 30. I will likely be multiboxing this game once again. 4 x Powertech gernade launchers = one button kill anything. 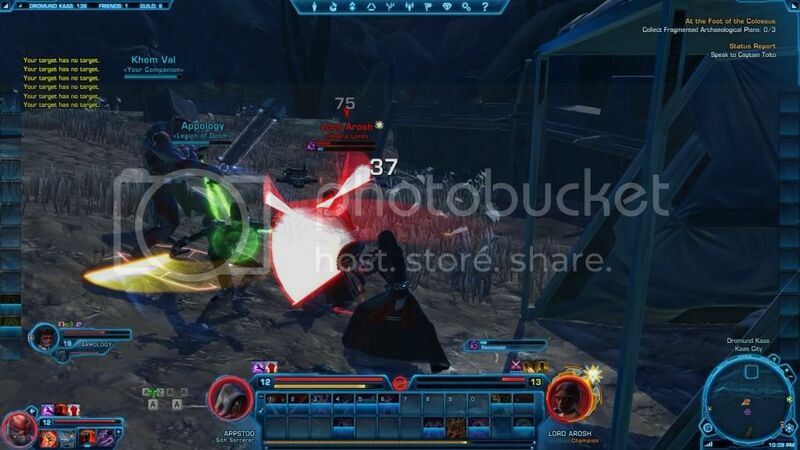 4 x Sith Warrior Force Leap / Crush = one button kill anything. 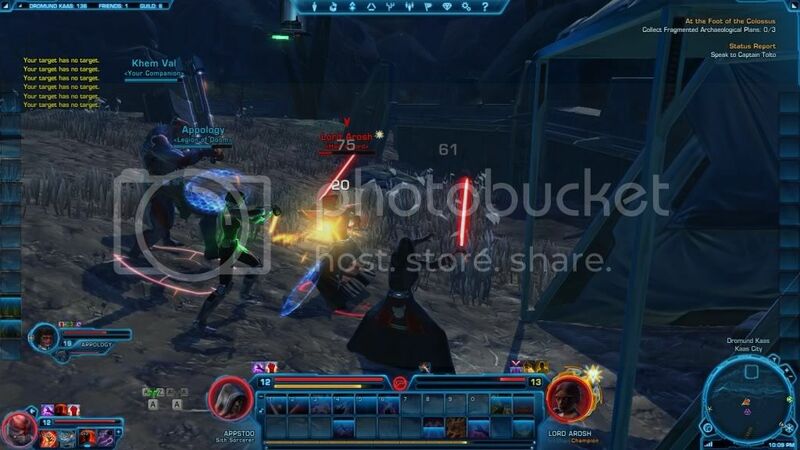 4 x Sith Inquisitor / Assassin Death Strike = one.. .ah you get the picture. Note to the universe. You see 4 red skinned, full body tatoo'd female Twi'lek Sith Assassins... you don't run. Im in as well, it is down loading on my old computer right now once it is done i will start it on my new one, during that i will start it on my old one which will complain about system requirements. hmmm. Lost my reply somewhere. Mink, since I am at work right now, When you get on, and before you make your character, Pick a server, and we will join you. I will enjoy making a new one from the start. Please pick a West Coast, PVP server. I like west coast servers because when its late for me, its not for the server, and thus my queue times for pvp or groups is short compared to servers local time at 2 am... plus XBETOX can join us. ok I assume we will be sith. oh and my name is not mink13 it is ArtifesLicentia, i dislike using numbers in games with a lot of customizing. any tips before i make my sith? Nope. Warriors can be tanks and dps. Inquisitors can be healers and assassins. Imp agents are all out DPS. Just go there. I can always make new characters. I sense a disturbance in the.... oh it's just you guys. Ok, we'll then you mustn't have been online much last night. That or I didn't search the correct world. I'll try again to locate you today. I looked it over and i think spelled it right. I was only playing before 11 so i may have missed you. im getting way more lag right now i might have to wait until it gets on my other computer before i play it a lot. "Multiboxers do it with a group." Need a group to do the HEROIC mission to destroy Lord Arosh? I don't. Screw this planet. Im outa here. I'll be working on a video next. Hope to see you and XBETOX this evening. Man this is a step above KOTORS graphics... I gotta get in on this one.